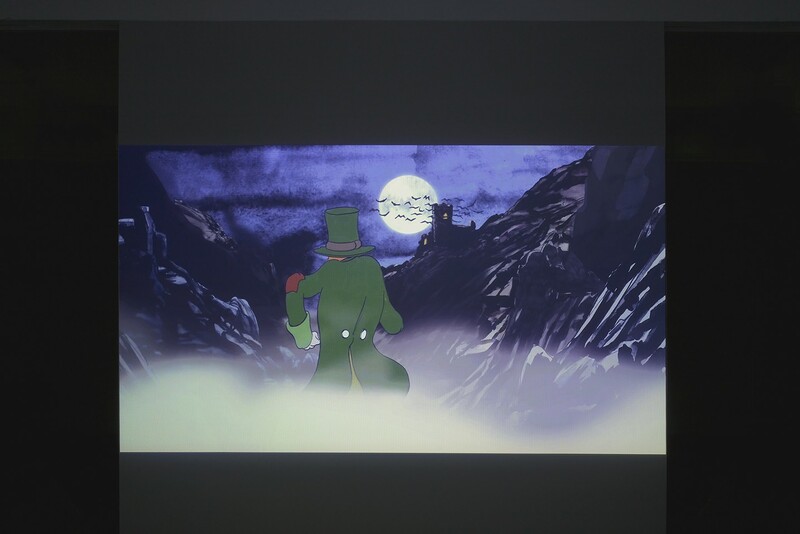 Chisenhale Gallery presents the first solo exhibition in a UK institution by Berlin and Brussels-based artist Peter Wächtler, featuring a new cel animated film presented within a specially conceived installation. 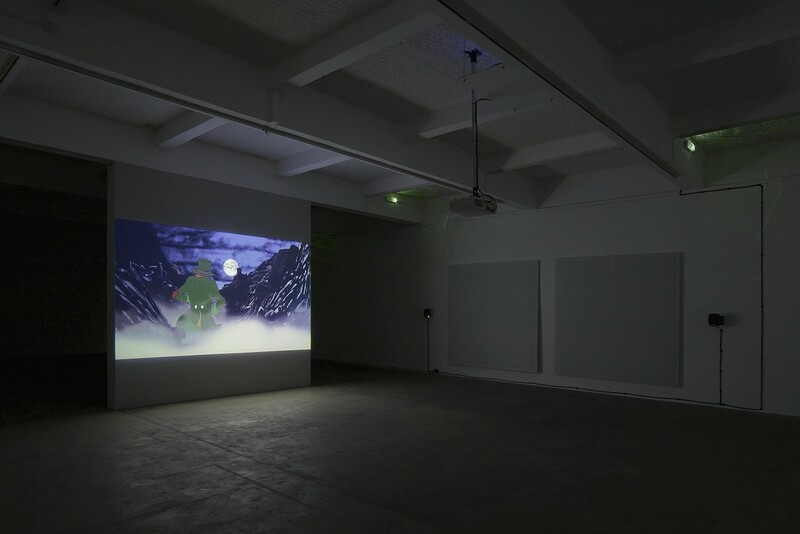 Wächtler works across a range of media including sculpture, drawing and animated film, with his prolific writing and prose poems often providing source material. For Wächtler the introverted experience of labour becomes both his process, as well as his subject. Ideas of ‘progress’ – of narratives, tracking shots and life – are continuously contrasted with a profound moral and cultural bankruptcy. 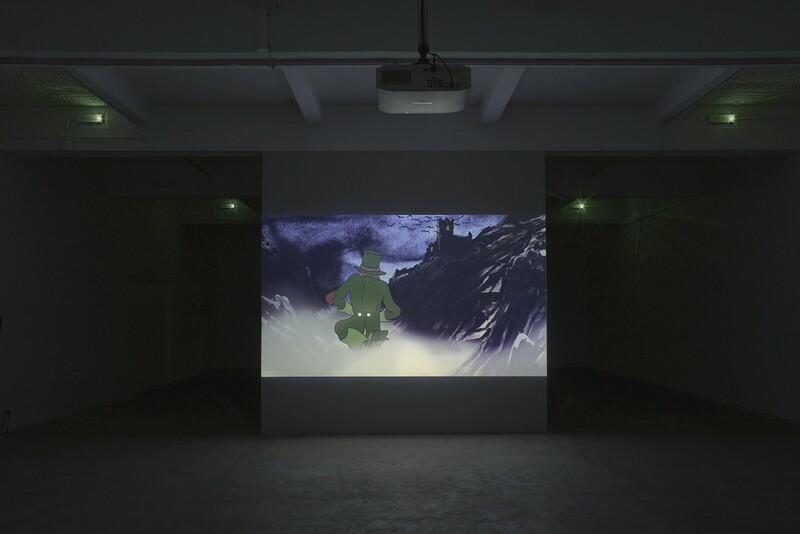 Wächtler has portrayed characters in various states of passive struggle in previous works, including Untitled (2013), an animation that follows a morose rat confined to a continuous loop of economic and physical hardship, and Untitled (2014), where two ceramic sea creatures rise to battle, only to be stunted by their own objecthood. 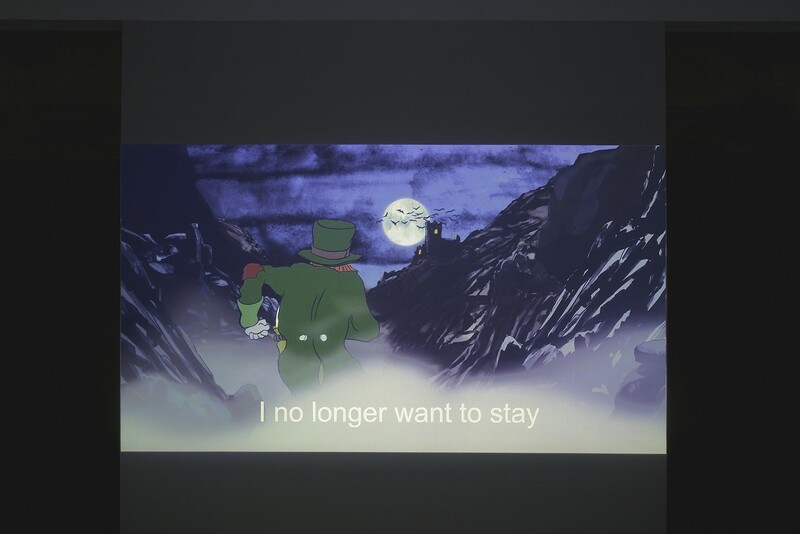 For his exhibition at Chisenhale Gallery, Wächtler presents a film made through traditional cel animation, soundtracked by an energetic rock and roll song. 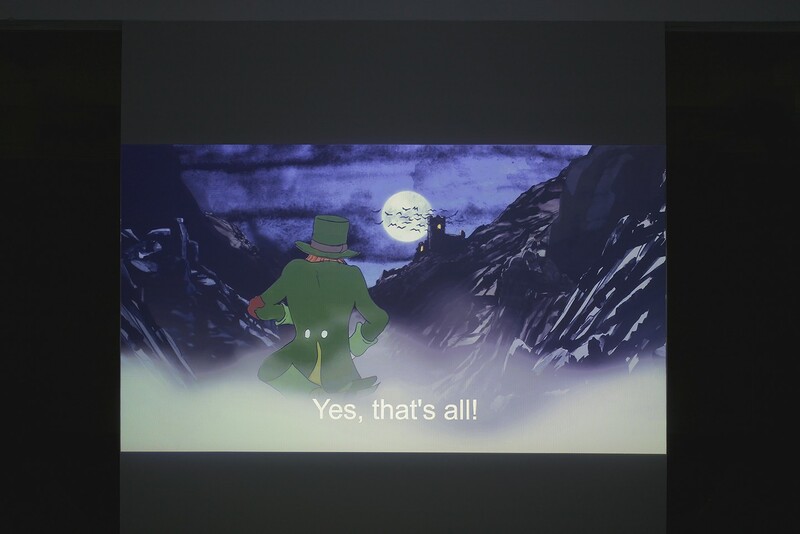 The animation depicts a central subject’s cyclical departure along a country road, set against a backdrop of moonlit landscapes. Revealing a contemporary relationship to isolation and catharsis, the protagonist’s perennial stasis invokes an ambiguous relationship with acts of progress or exit. 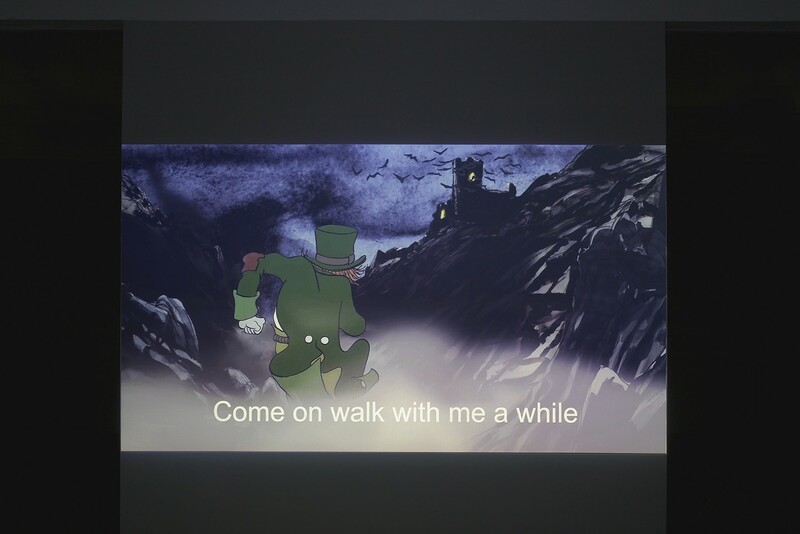 Just as the animated image is confined to a set of exaggerated movements, so too is the lyrical and musical arrangement of Wächtler’s soundtrack – emulating the catchy chord progressions of popular song and building to an uncomfortable disconnect between familiarity and distance. With all its false bravado, the work evokes an exhausted and hysterical tension between being stuck, yet still trying to move. This relates to ideas of self-improvement as much as animation technique, or the potential of fiction within a fictitious profession. Wächtler’s use of misanthropic narratives, cultural cliché and haptic imagery challenges the limits of communication and understanding, posing important questions about the agency of the artist today, of art and our own misplaced desires.